I grew up in Nashville Tennessee, and received my undergraduate degree from Rhodes College in 1989. After college, I entered the Molecular Cell Biology and Biochemistry Program at Washington University, where I did my dissertation work in Dr. Jacques Baenziger's lab. This work focused on the biochemistry of N-linked carbohydrate biosynthesis and the characterization of unique, biologically active carbohydrate structures. After receiving my Ph.D in 1996, I joined Dr. Jeffrey Gordon's lab at Washington University for post-doctoral training. During my fellowship training I became interested in interactions between intestinal bacteria and host cells in the mammalian gut, and this interest remains the driving force behind the research in my lab. I am currently a Professor in the Department of Immunology at the University of Texas Southwestern Medical Center at Dallas, and an Investigator of the Howard Hughes Medical Institute. Dr.Ye-Ji Bang earned her Ph.D. from Seoul National University in South Korea in 2014. 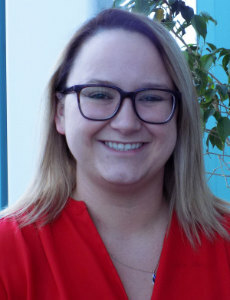 Her research in the Hooper Lab focuses on the biochemical and physiological function of serum amyloid A in vitamin A metabolism and in the immune system during bacterial infection. Outside of the lab, she enjoys cooking and listening to music. Cassie Boyd is a native Texan. She is originally from New Braunfels, home of the original Schlitterbahn water park. Cassie received her bachelor of science degree in Biomedical Science from Texas A&M University in College Station, Texas (Class of '99 - WHOOP!) Her primary duty in the lab is to manage a colony of germ-free mice. Germ-free mice are completely devoid of bacteria, fungi, and viruses. These mice provide a unique tool for the lab and help the lab dissect complicated host-microbe interactions. With the help of another technician in the lab, Cassie maintains the mice to insure they remain healthy and microbe-free. When possible, she likes to relieve stress by going to heavy-metal rock concerts. For her, "It's not just metal, it's therapy." John Brooks earned his Ph.D. in microbiology from Northwestern University in Chicago, where his research focused on the colonization dynamics of the Hawaiian bobtail squid symbiont, Vibrio fischeri . His current research is to understand how the circadian clock influences microbiota function in the gut. Outside of the lab, John enjoys running, watching HGTV, and eating Texan BBQ. Andrew Chara received his B.S. at the University of Washington in Seattle. 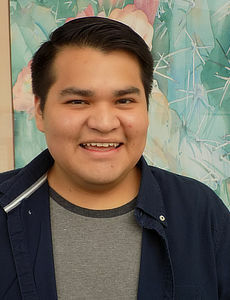 He is a native Texan and his goal is to attend medical school pursuing a specialty in either general surgery, infectious disease or internal medicine. He enjoys volunteering and watching movies. Chaitanya (Chaitu) received his Ph.D. from the Department of Biochemistry at the Indian Institute of Science, Bangalore. His Ph.D. work focused on understanding the mechanism of action of curcumin in combination with α,β arteether for the treatment of recrudescent and cerebral malaria in mouse models. My current research focuses on the role of Vitamin A in gut lymphocyte function. Outside the lab, Chaitu enjoys playing with his new son, going to the gym and running the trails around the UT Southwestern campus. Laissez les bons temps rouler (Let The Good Times Roll) as they say in the French Quarter in New Orleans! Being a native New Orleanian, Brian graduated from Tulane University in 2013 with a BS in cellular and molecular biology. Brian joined the Hooper Lab after graduation and is now a member of the Gnotobiotics Facility. When Brian isn't at the bench, you will find him reading a good book or capturing the nearest kingdom and reporting for Call of Duty in one of the many video games he enjoys. 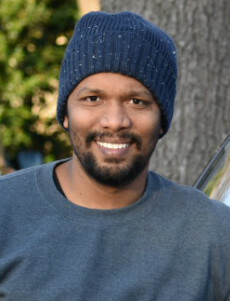 Zehan (Han) earned his Ph.D. in biochemistry and molecular biology from a joint training program between the National Institute of Biological Sciences, Beijing (NIBS) and Beijing Normal University in China in 2013, where his research focused on the autoinhibition mechanism of NOD-like receptor. He then went on to become postdoctoral fellow in Tsinghua University in China, focusing his research on the a ctivation mechanism of NAIP-NLRC4 inflammasome through structural biology and biochemistry. 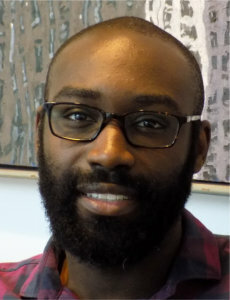 His research in the Hooper lab focuses on the structural and biochemical study of proteins that play important roles in the intestinal immune system. Outside the lab, Han enjoys reading, watching movies and listening to music. Eugene is from Cupertino, CA, which is the south Bay Area and received his Masters at California State University, Sacramento where he studied mesenchymal stem cells and their potential applications to heal diabetic foot ulcers. He went on to study photo-therapies at UC Davis before relocating to Dallas to study the gut and immunology. He is a huge basketball fan and follows several teams very closely including his home team the Golden State Warriors and his other favorite the San Antonio Spurs. He enjoys gaming with his friends anything from cards, board games and sports. 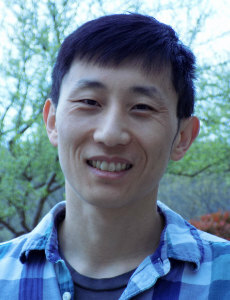 Zheng Kuang earned his Ph.D. in Molecular Biology and MHS in Biostatistics from Johns Hopkins University, where his research focused on the dynamics of chromatin modifications across different metabolic states. His current research is to understand the transcriptional regulation in the intestine and how it is shaped by circadian clock and gut microbe. Outside the lab, Zheng enjoys playing and watching various sports, especially playing table tennis and badminton with his family and friends. He also loves music, food and cooking. Yun received her Ph.D. in Molecular Biology from the Institute of Microbiology Chinese Academy of Sciences and was co-trained by the Ocean University of China. Her postdoctoral training was completed at UT Southwestern and she is now an instructor in the Hooper Lab. 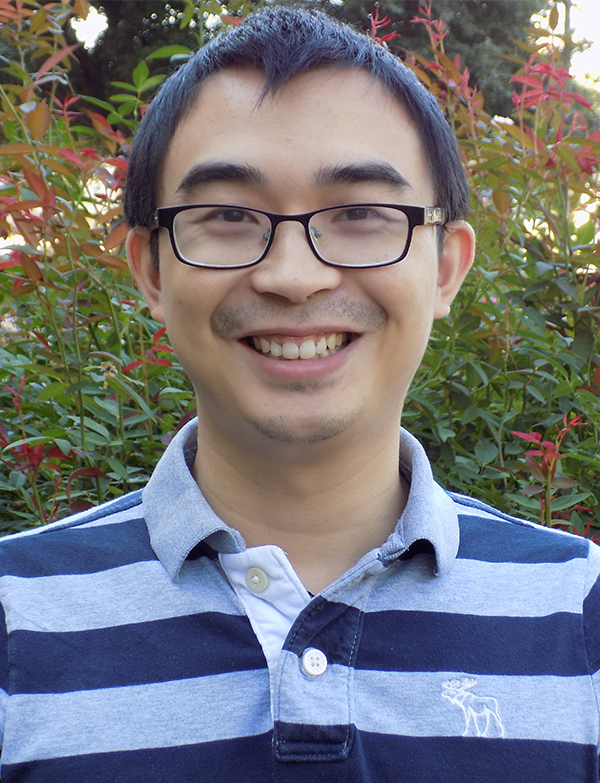 Yun's research in the Hooper Lab focuses on bacteria-induced autophagy in mouse intestinal epithelial cells. When away from work and the bench, she enjoys time with her family and her two wonderful children. Mihir Pendse received a B.S. in Molecular Biology from the University of California, San Diego. Mihir's research interests are at the intersection of diet and mucosal immunology. His current project is to understand the complex relationship between host-microbial interactions in the GI tract and vitamin A metabolism. Outside the lab, Mihir's love for dogs has him volunteering for the SPCA and he's also a major San Francisco Giants fan! His future dreams are to explore South America and the Nordic region of Europe. Dan earned his B.S. in Chemistry from Regis University in Denver, CO in 2006. He then went on to earn his Ph.D. in Organic Chemistry from the University of Texas at Austin in 2011. His research in the Hooper lab is focused on glycan-mediated host-pathogen interactions in the gut. In his spare time, Dan enjoys reading, cooking, golfing, and everything science. He also enjoys playing and watching the greatest sport ever invented (rugby), and loves Roadhouse and Big Trouble in Little China. Kelly Ruhn was born and raised in Dallas, Texas. She earned a B.S. in Biology from the University of Dallas in May of 2002. During her undergraduate studies, she worked as a laboratory helper at UTSW and then went on to work in several other labs after graduation. Kelly maintains the conventional animal colony and assists with projects in the Hooper lab. Kelly enjoys almost everything--especially taking care of her animals at the lab and at home. Her favorite thing to do in Dallas is play ice hockey. Madi is from Wichita Falls, TX, which is famous for the Hotter-n-Hell 100-mile bike race. She has two undergraduate degrees (BA in German from SMU and a BS in Biology from Midwestern State). She enjoys her time with her two dogs, crocheting, country-western dancing and is a certified scuba diver. Her next adventure is to attend graduate school for either Molecular and Cellular Biology or Genetic Counseling. Yuhao Wang comes from Hangzhou, a beautiful city in southeastern China. He received his B.S. from Zhejiang Medical University (China) in 2010 and came to the US for doctoral study in 2012. His research interests in the Hooper lab are focused on how circadian rhythms shape gene expression in the intestine. Outside of the lab, Yuhao is a good photographer and photo editor, so traveling with a camera is his favorite thing to do when he gets free time.